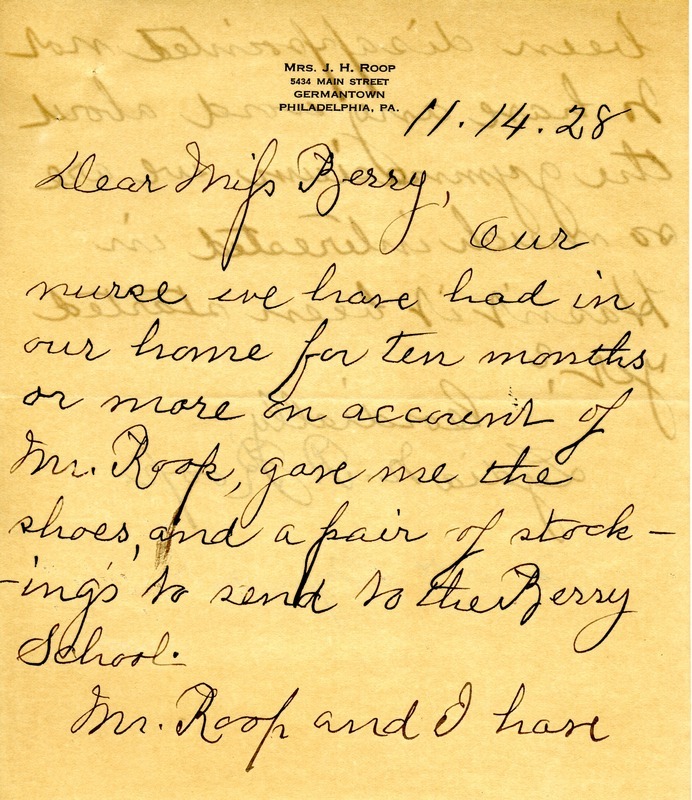 Mrs. Roop sends a pair of shoes and stockings, which were given to her by her nurse, to the Berry Schools. She also asks if there has been any progress made in building the gymnasium. Mrs. Lydia N.P. 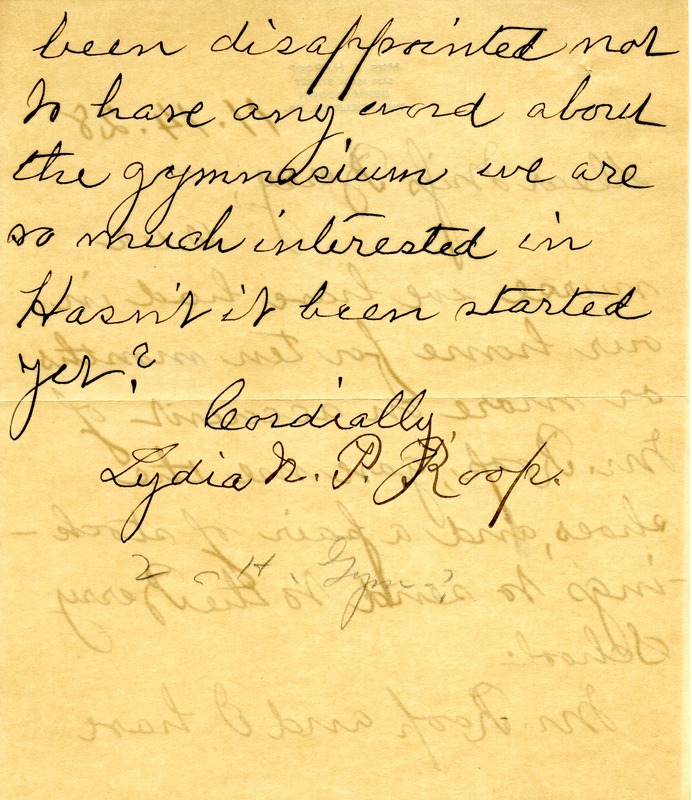 Roop, “Letter from Mrs. Lydia N. P. Roop to Martha Berry.” Martha Berry Digital Archive. Eds. Schlitz, Stephanie A., Kelli Kramer, et al. Mount Berry: Berry College, 2012. accessed April 22, 2019, https://mbda.berry.edu/items/show/8840.